If you’ve been renting in different apartment complexes for awhile now ,and have since made the leap to buying a home with a garage, the inner workings of a garage and all its parts can be foreign and somewhat challenging. 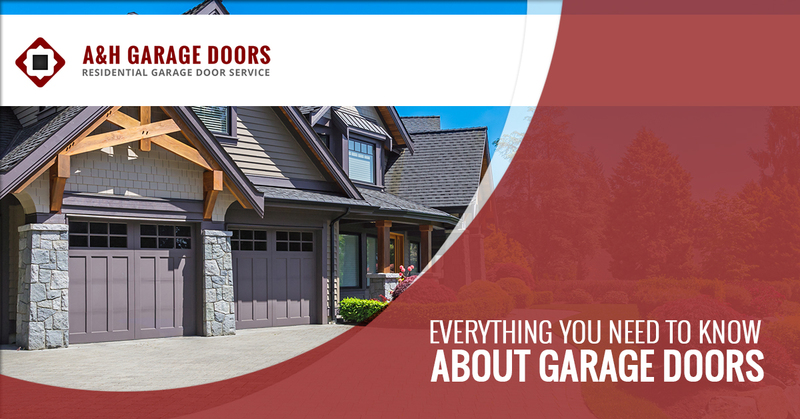 We want to make owning a home with a garage in the Fayettville area a smooth transition, which is why we’re here to break it down and give you an introduction to garage doors! Statistically speaking, a person will own one to two homes with garages in their lifetime. Having working knowledge of a garage door is important if you want to understand how to make small fixes or adjustments, or engage with a garage door experts while they’re performing a garage door service. 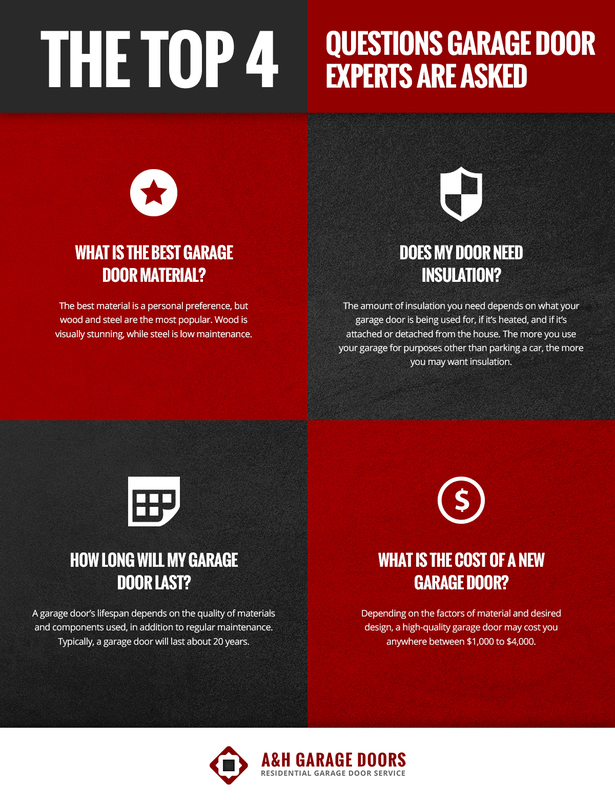 Here’s a basic layout of what you need to know when garage doors are involved! The garage door – A vast number of garage doors sold in the US are considered sectional, overhead doors that run along a track from the ceiling of the garage. The doors are of various sizes and materials — such as steel, wood, fiberglass, aluminium, and glass — with residential doors ranging between six and eight feet in height. Garage doors can be both insulated and non-insulated with substances such as plastic, polyurethane, and polystyrene. The hardware – Most people are familiar with a garage door, but the hardware involved is where people require more information. The terminology is easy to understand, once you understand the complete picture of how everything works. The tracks – The garage door tracks run along the sides of your garage, both vertically and horizontally. Ensure thick steel is in place. The thickness is highly important — the thicker the steel, the less room for issues, such as twisting or tilting occurring under the weight of the door. The springs – The spring system is often referred to as the counterweight system and is the component that allows you to manually lift your garage door. In the spring system, there are two types extension and torsion. These pieces last around five to seven years before they stop working or break. The hinges – The hinges are the pieces that allow each section of the door to bend, retract, and move. If you have a large garage door or it’s heavier than a traditional one, it is advised to have a double-hinge installed towards the bottom to help secure it in an open position. The rollers – Garage rollers come in various materials that include steel, black nylon, and reinforced white nylon. The biggest takeaway with garage rollers is that they should roll and not slide. The lifting cables – The lifting cables are braided wires that are calibrated to support the entire weight of the door. Their sizes are according to their weight, so the bigger the door the thicker the garage door lifting cables. 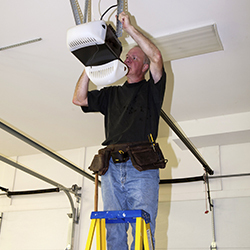 The operator – If you have a mechanical garage door, it will be controlled by the garage door operator, which is fixed upon your garage ceiling. It controls the motor and gears, drive guide, height adjustment, and contains the inverter and battery. The garage door openers – The openers are the controls that allow you to open or close your garage door, either from your vehicle or within the garage. Some openers can be attached to a key ring, and some are located right outside your garage for remoteless and keyless entries where a code is entered. Now that you have a basic understanding of the components of a garage door system, you can efficiently locate the pieces and make small fixes, and be able to more clearly communicate with a garage door expert. 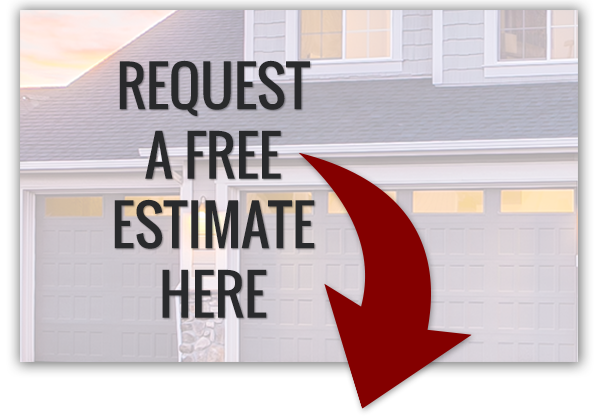 If you need a new garage door or garage door repair, give us a call today!